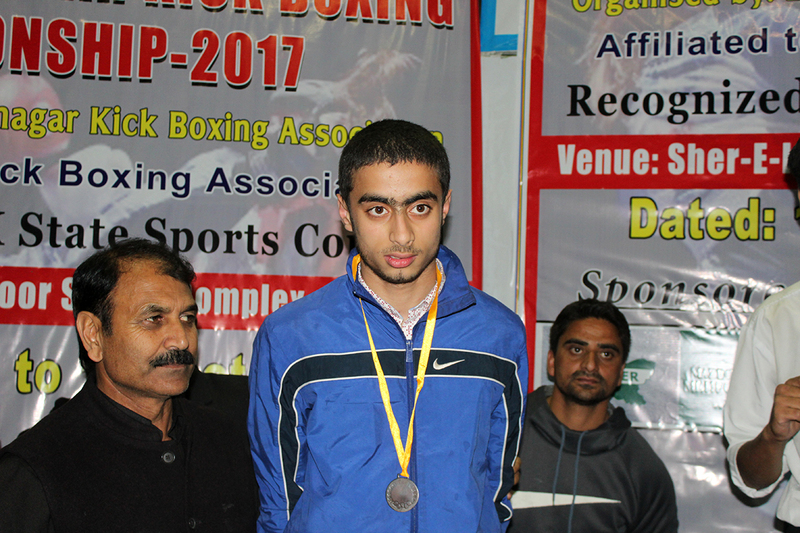 A championship of kickboxing was organised in the Sheri-Kashmir Stadium where a student from SEN department namely Ayaan Parvaiz Bhat took part in juniors 50 kg category of kickboxing. He won the first medal of his life – a Bronze medal, playing for Gindun Wushu academy Rajbagh. Ayan proved to be a tough competition for his opponent who was already a champion in the game. Everyone in the audience including the jury was seen praising him for his skillful moves on display throughout the game. We would like to thank Mr. Asif Hussain of Gindun stadium for giving Ayan an opportunity to be a part of this championship.